All children should believe in magic! For a fairy party or princess party, a personal stash of glittery “pixie dust” is such a treat for little fairies. 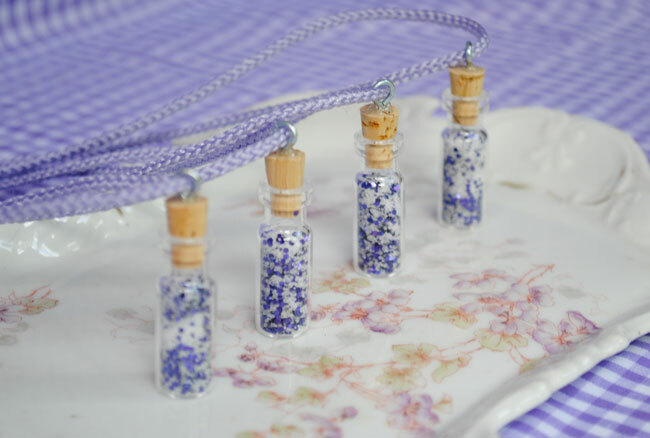 I’ve seen quite a few pixie dust party favors but none quite as cute as this one: teeny tiny bottles of fairy dust, hung from a cord so that they can be worn as necklaces! 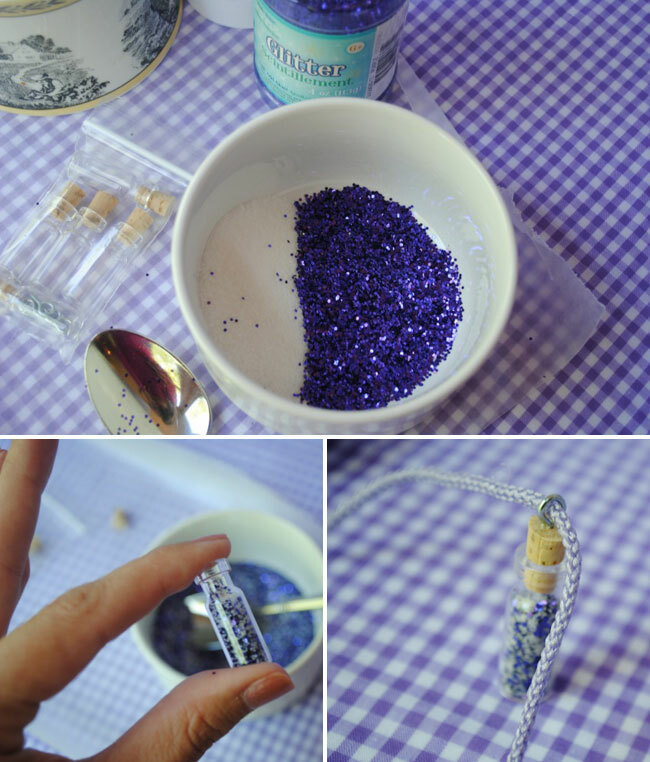 It’s easy to make the necklaces, and you can choose any color of glitter and any color cord to suit your theme. The tiny bottles (complete with cork and metal loop) come from Etsy seller Bottles N Things. This idea is courtesy of Jennifer at Double the Fun Parties, who offers this project (and lots of others!) as part of her flower fairy party plan. See the full tutorial on how to make glitter fairy dust bottles here! Shop for personalized Garden Fairy party theme party paper goods and printables here. Or, check out more Garden Fairy theme party ideas on Pinterest or here on my blog! These are just adorable! Tiny & Sparkly - Perfect Combo! It is charming to see the children happy. You can make your girl happy through gifting a marvelous Statement necklaces. Mentioned online shop can be the best choice for you.